For additional size options click Request Custom Order. 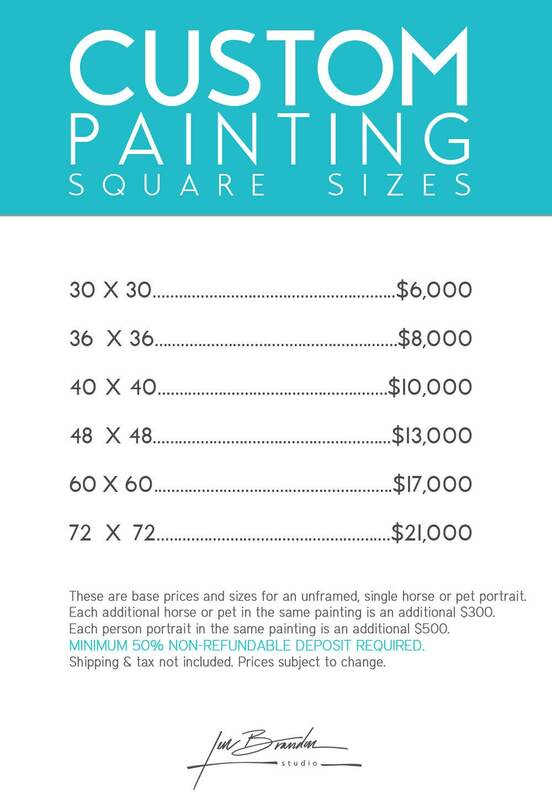 These are base prices and sizes for an unframed, single horse or pet portrait. 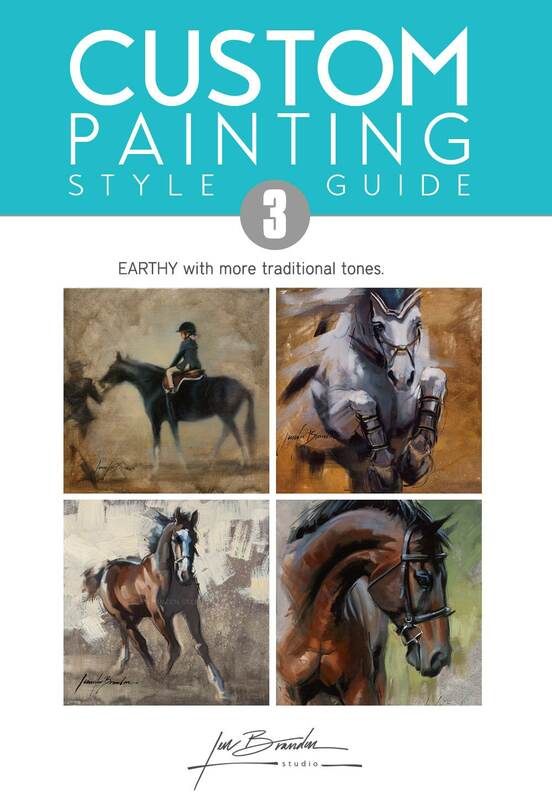 Each additional horse or pet in the same painting is an additional $300. Each person portrait in the same painting is an additional $500. 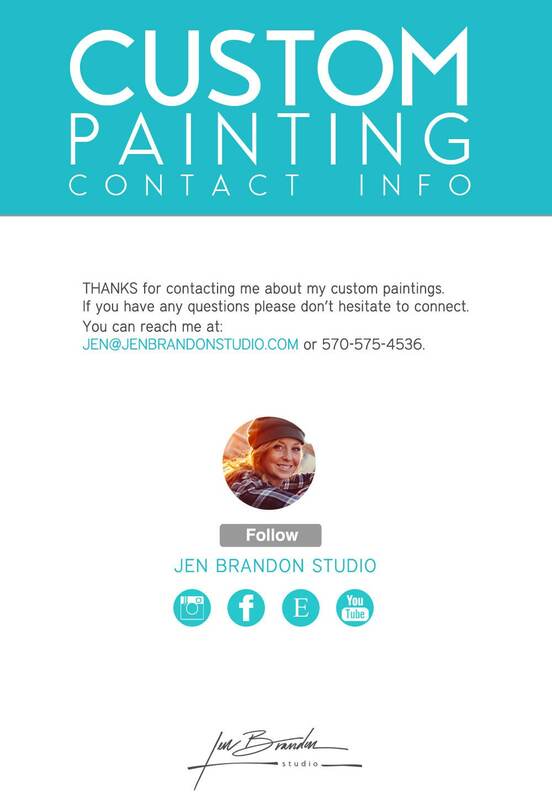 For orders including more than one subject (animal or person) click Request Custom Order and include how many subjects will be in the painting and what size canvas you're interested in. 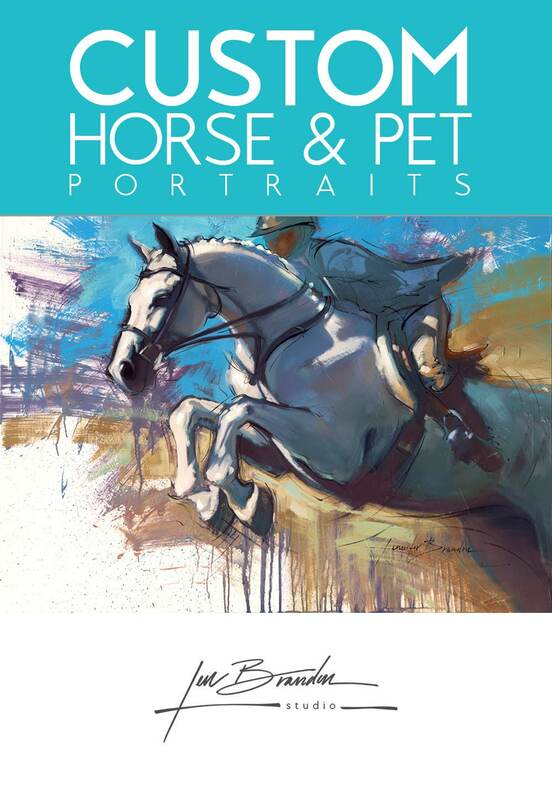 Message me with 1-10 of your favorite photos of your horse or pet. 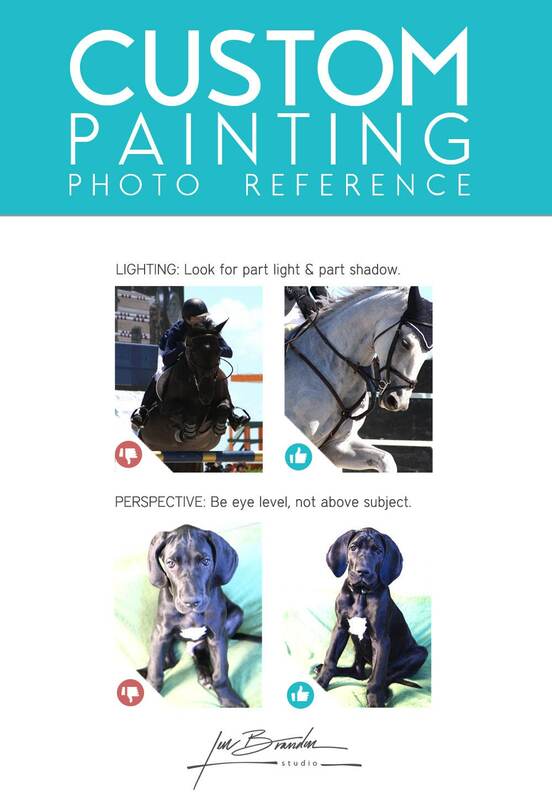 See PHOTO REFERENCE SUGGESTIONS in the photo above for suggestions on how to pick the best references. 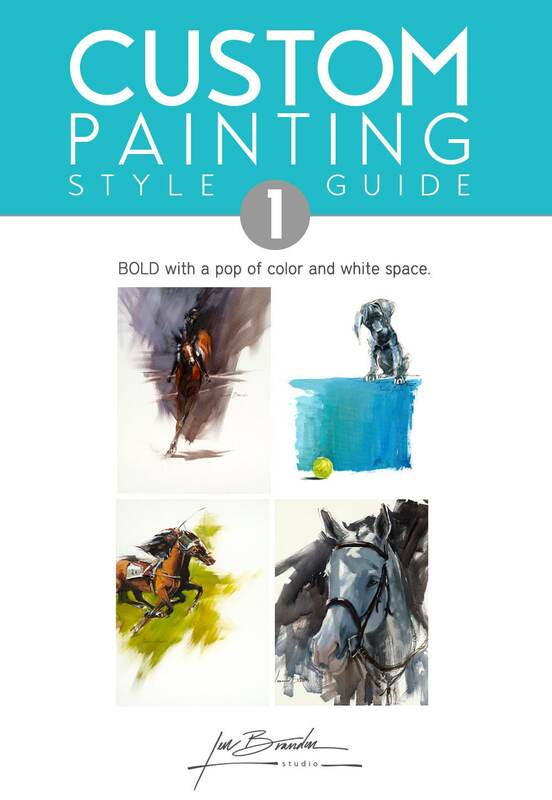 I'll be in touch about which photo will make the best reference for your painting. In order to best serve each individual client, shipping costs will be sent in a separate invoice, calculating the best option for the buyer. 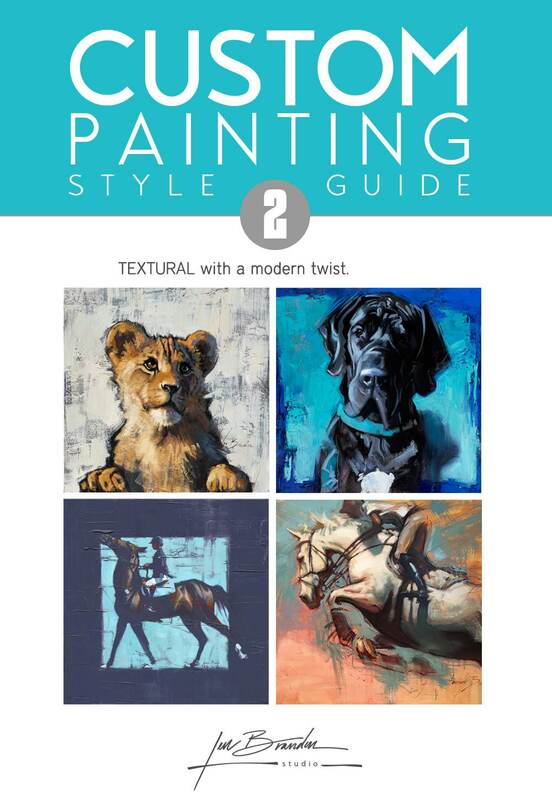 See examples above for style variety. 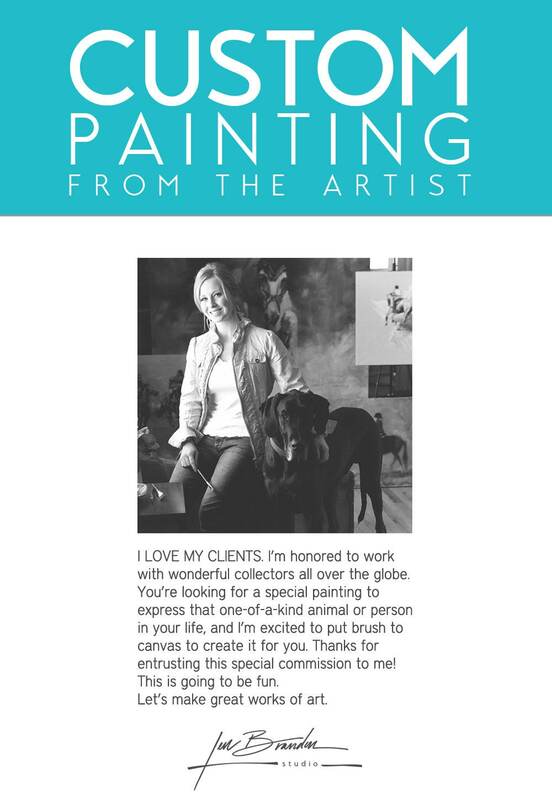 I'll be happy to discuss which style will best suit your subject and express its unique energy and expression. 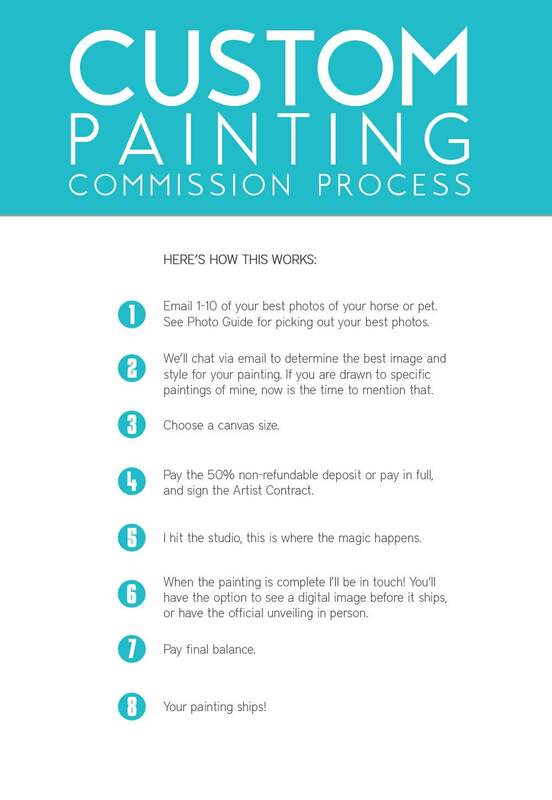 Time frame varies depending on the current waitlist and when the photo references are supplied. If you have a specific date you're hoping for, include that in the notes and I'll see if I can accommodate.